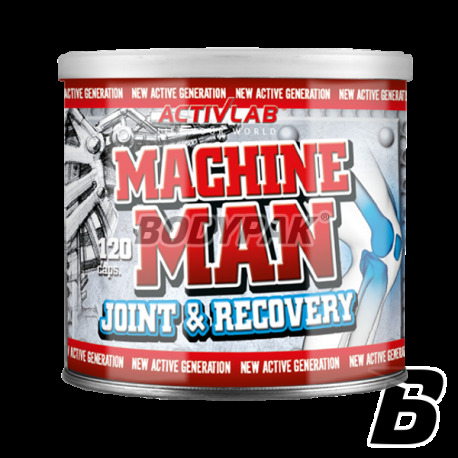 Joint HealthActivlab Machine Man Joint & Recovery - 120 kaps. You got a problem with joints? You feel uncomfortable twinges or friction in the knees? We have a solution for you! 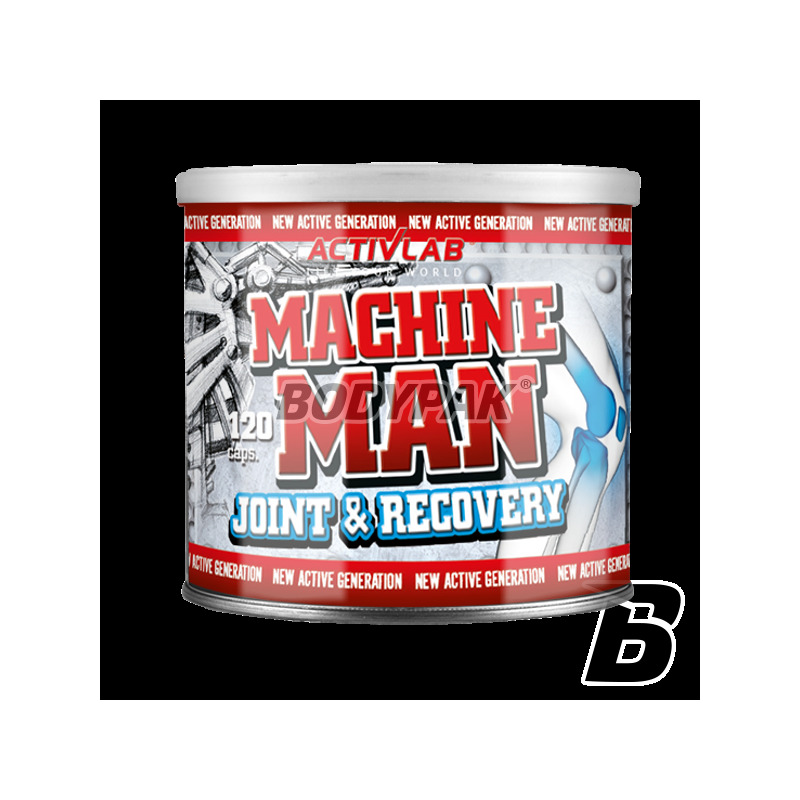 Described preparation - Activlab Machine Man Joint & Recovery has strong regenerative properties. Regular use of that preparation can significantly alleviate the discomfort that accompanies the under-fed joints. By combining the most effective and well-studied constituents you can expect an appreciable effect regardless of whether the changes in the joints are caused by intense exercise, poor diet, or age. Glucosamine significantly improve the lubrication of your joints. Disappears feeling of friction, which makes discomfort during movement will be smaller. Chodroityna regenerate tissue and assured adequate protection against cartilage degeneration. Collagen instead provide the necessary amino acids to rebuild the structure of the joint. Activlab Machine Man Joint & Recovery also contains vitamin C, minerals and plants that improve the work of the musculoskeletal system. Wzmocniło moje stawy dzięki czemu moge ciężej trenować, co przekłada się pozytywnie na efekty treningów! Swanson Glucosamine, Chondroitin & MSM - 120 tabl.